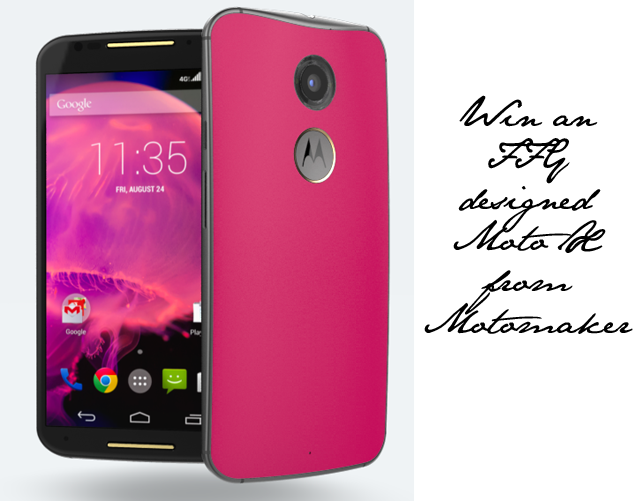 Competition: Win a Motorola Moto X designed by FFG! 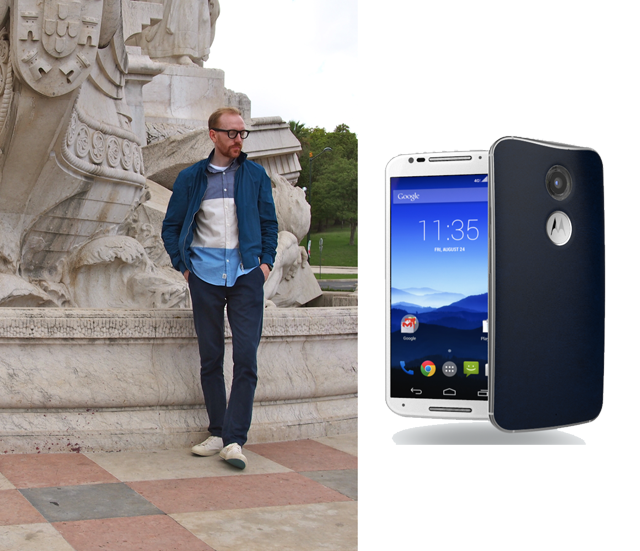 I'm very pleased to announce an exciting new competition today in collaboration with Motorola. 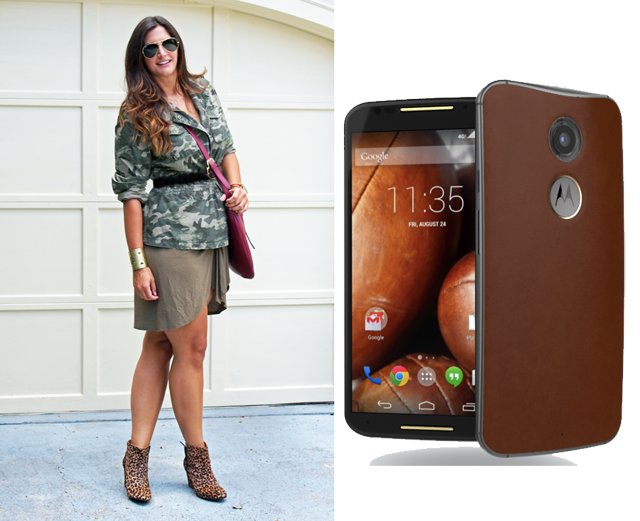 Last month I attended a special press preview of all the new and exciting things that Motorola would be launching in September 2014. While everything from their new watch to their latest fabulous phone additions were blowing everyone's mind, I was particularly excited about the launch of Moto Maker. This is a new online system that allows you to customize absolutely everything about your phone, from the colour or coating of the phone to personalizing your Moto with an engraving on the back. Basically your phone has always been the one accessory you carry everywhere, so why shouldn't it be as personal to you as a great pair of jeans or a favourite handbag. 1. 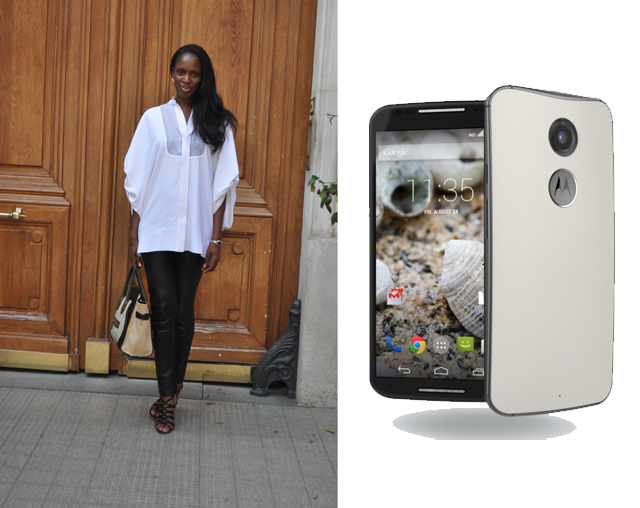 Follow @MotorolaUK on Twitter, and look out for Moto Maker Street Style tweets from today through October 2nd. 2. Snap yourself in a street style photo inspired by the Moto Maker design of that day (sneak preview of looks below... shhh, don't tell). 4. Then sit back and wait to see if your picture has been shortlisted to be put forward for a public vote. Good luck and get styling! Can't wait to see your looks! Coco's Tea Party shows us how to work a perfectly pink accent. Mademoiselle Robot is gorgeously green. Red Carpet Fashion Awards is a vision in monochromatic. The Chic Geek works a moody blue ensemble. 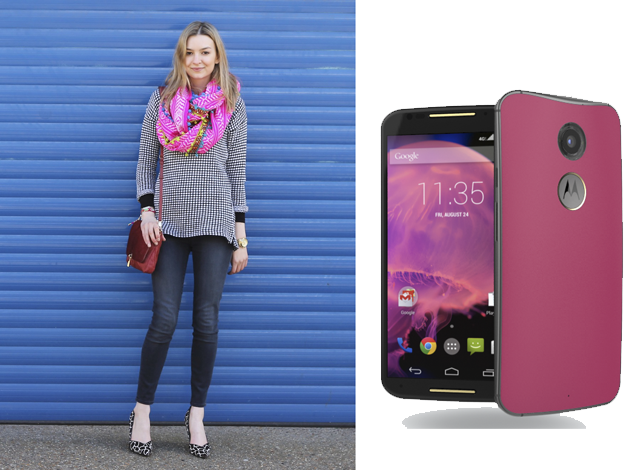 FFG is working in collaboration with Motorola UK.